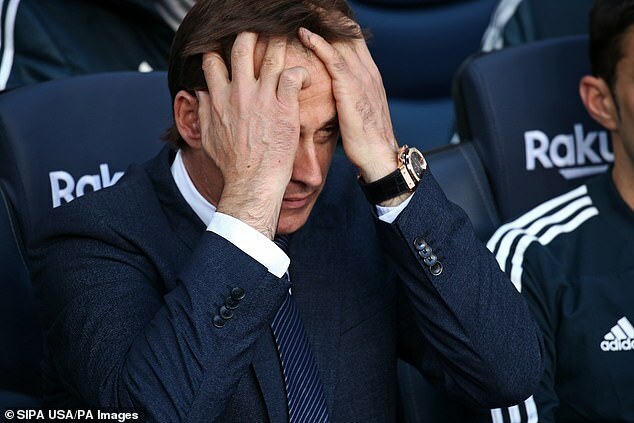 Real Madrid have sacked manager Julen Lopetegui and put B-team coach Santiago Solari in temporary charge. The Madrid board is split over Lopetegui’s successor. 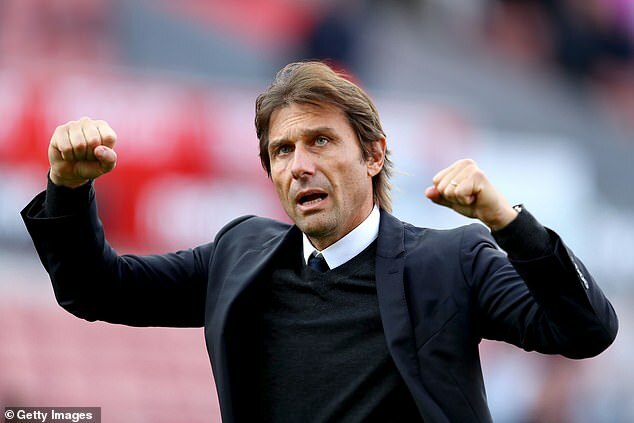 The president Florentino Perez had wanted former Chelsea manager Antonio Conte but his demands for a two and half year contract and for a team of up to five assistants could make Belgium coach Roberto Martinez a more viable option. The club are also considering leaving Solari in charge of the first team until next month’s international break before making a permanent appointment. Conte is not the choice of the current players with captain Sergio Ramos saying: ‘Respect needs to be earned not imposed,’ when he was asked about the appointment of a disciplinarian manager. Former Everton and Wigan coach Martinez is keen to get back into club management after reaching the World Cup semi-finals with Belgium. The club are also taking into consideration Conte’s falling out with Eden Hazard who they are interested in signing next summer if he continues to run down his contract. Conte has won the league in Italy and England but his confrontational style caused problems with Diego Costa and with Hazard who grew tired of being played out of position and then being accused of a lack of commitment. Whoever takes over will become Gareth Bale’s fifth coach in five years at the Spanish club. 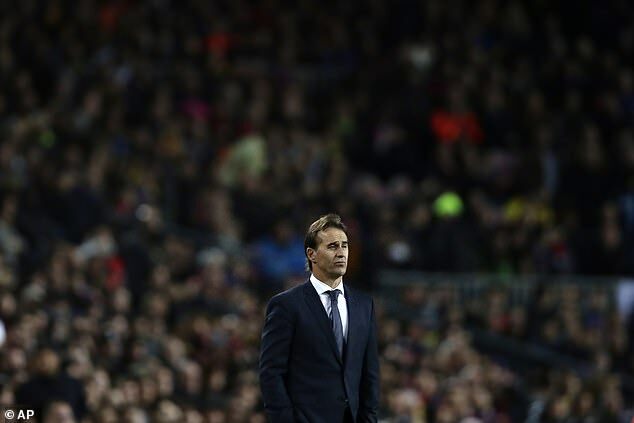 Lopetegui was presented as Real Madrid’s new manager on June 14 last summer. Spain had sacked him on the eve of the World Cup because they were unhappy at the way he had negotiated the move while under contract with the national side. He was in tears as he described it as the ‘happiest day’ of his life when presented at the Santiago Bernabeu. But he lasted just 14 games, winning only six matches. 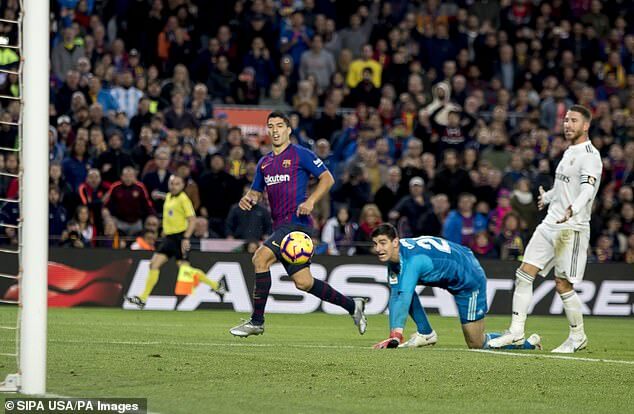 The 52-year-old leaves with the team in 9th place in La Liga after falling to a 5-1 defeat away to Barcelona on Sunday at the Camp Nou.